Sadly we have come to the last post in the "Fun With Fabric Paint" segment. 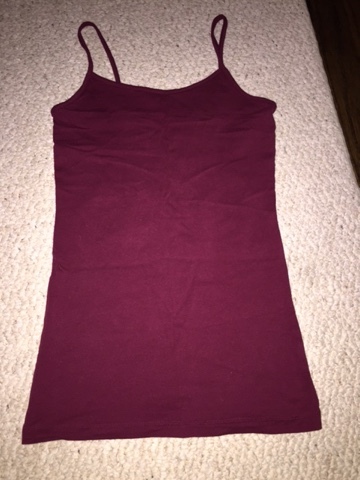 I started with this plain maroon tank top. My inspiration for this comes from people telling my husband that he looks like shaggy from Scooby Doo, which is actually accurate. He's so cute. So naturally we love everything Scooby Doo! 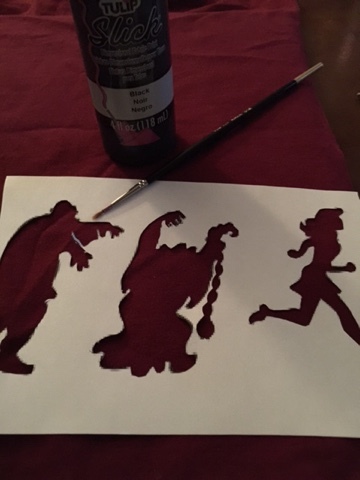 I found this picture of two villains chasing the Scooby Doo crew online, printed it and cut it out to make a stencil. Hope you enjoyed my segment with fabric paint as much as I did! Stay tuned for more refashioning!!! That is a great idea. Loving the scooby doo stencils!